Exquisite, à la carte choices with close to 100 culinary delights in its sumptuous international buffet spread. 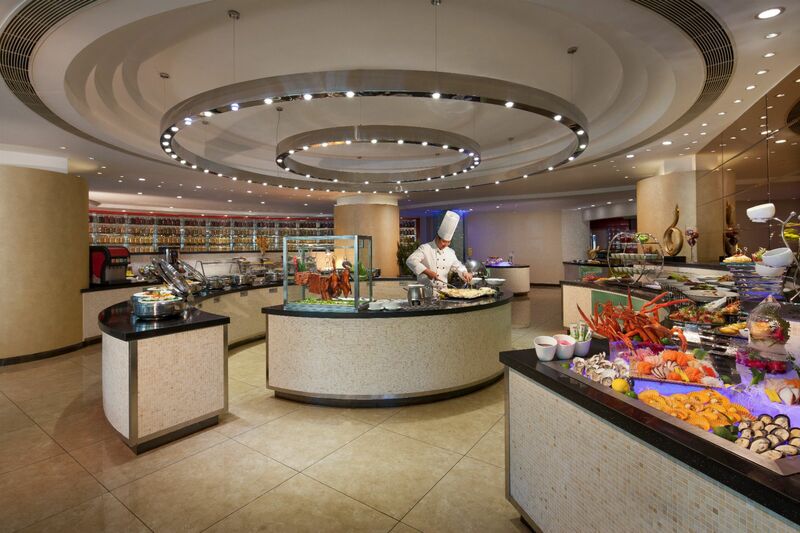 Indulge at Park showcases an interenational buffet served throughout the day. The combination of stimulating, sophisticated interiors, delicious food, and drinks is enhanced by ambient music an intimate yet spacious setting. A mouthwatering selection of jet-fresh seafood with fresh lobster and oysters in a testament to quality. From sushi and sashimi to speciality noodles with unlimited Brazilian barbecued meats, it's your right to choose. Indulge in our famous buffets offering a revolving array of culinary treats infused with exotic global and local flavours. Our live cooking stations turn dining experience into an innovative, exciting and fresh spectacle, serving global bistro favourites.